Economic growth often leads to increased home values, but why are some cities overwhelmingly surpassing others? 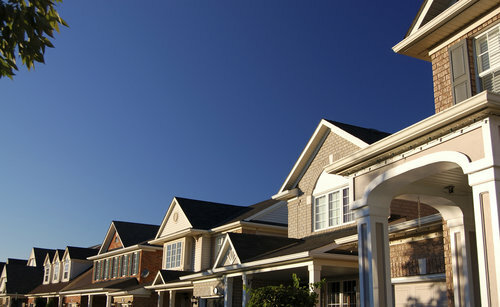 A new report from Zillow finds zoning restrictions seem to have an impact on growing home values. 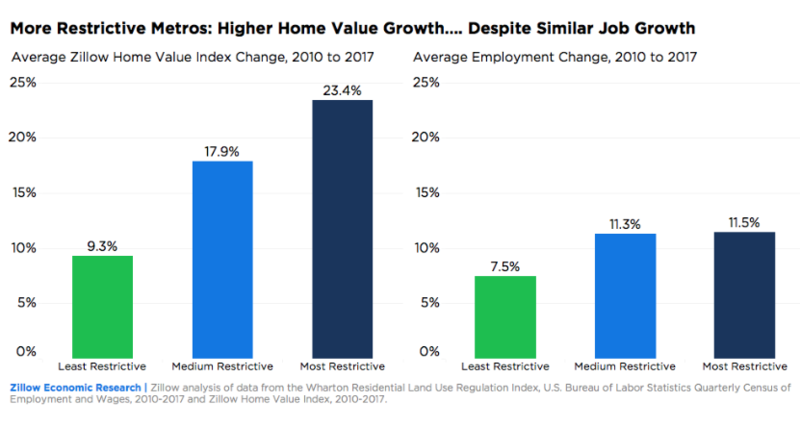 From Zillow’s data, the medium and high restriction zones experienced roughly the same job growth from 2010 to 2017, yet the most restrictive zones experienced a 23.4 percent increase in home value. Meanwhile, medium restrictive zones only saw 17.9 percent in the same timeframe. The most restrictive cities when it comes to zoning laws experience a disproportionate growth in home value. For every 10 percentage points of job growth in heavily regulated areas, these cities saw a 25 percentage point increase in home value. This ratio is uniquely high compared to medium and low restriction zones. 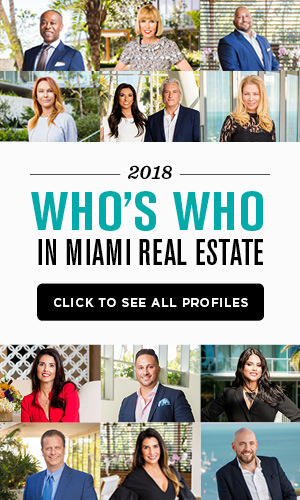 Miami is considered one of the “most restrictive” cities when it comes to zoning, and the data reflects just how large the job growth/home value gap can be. From 2010 to 2017, home values increased by 62.5 percent. Meanwhile, job growth only rose 19.2 percent over the same period. With restricted inventory support from builders, home values may continue to climb at a faster rate than job growth in the coming years as well. 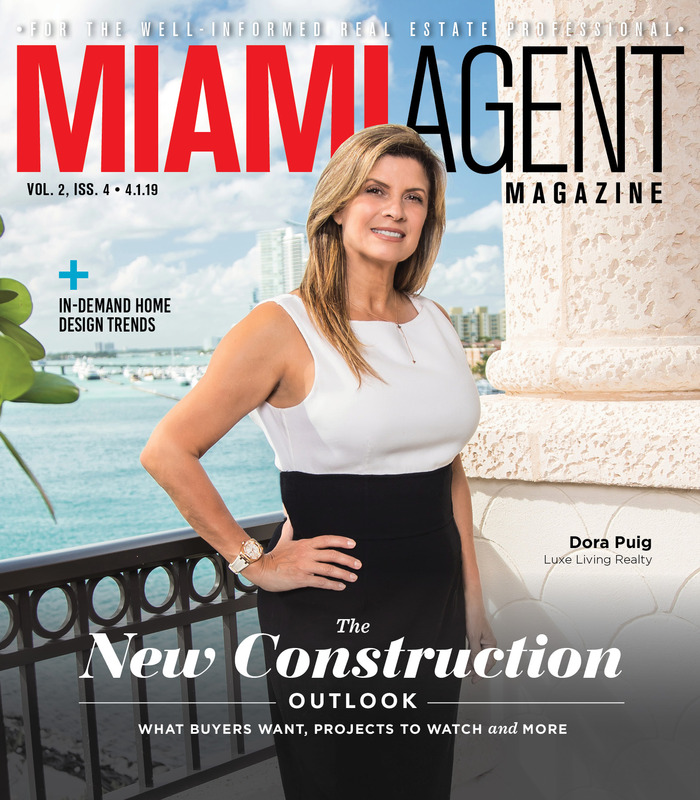 With the market’s inventory low and dropping, builders are eager for new developments. But jumping through the hoops of restrictive zoning laws has hindered market growth, causing sharp price spikes in select cities. “In hot job markets with some of the strictest laws about building new residential housing, home values experience the most pressure. It’s helped home values recover and exceed their previous highs, but leaves many home shoppers unable to break into the market” said Zillow Senior Economist Aaron Terrazas in a press release.